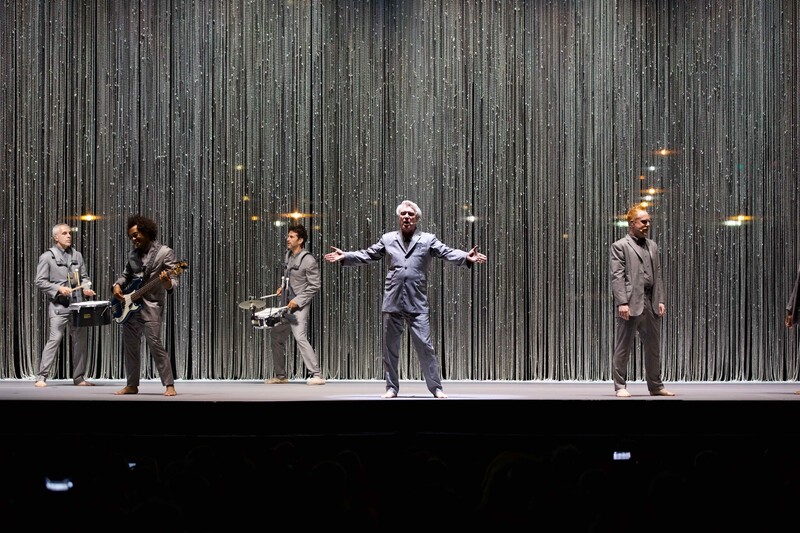 Annie-B Parson, the artistic director at Brooklyn’s Big Dance Theater, worked with former Talking Heads singer David Byrne on the choreography for his current tour in support of his new solo album, American Utopia. While in the planning stages, Byrne told Parson that she would have a completely empty stage to work with. None of the instruments he planned to use in the concerts would have to sit on the stage. The novel concept would allow Byrne and his 12-piece backing band to dance and sing as if they were on the street or performing around a campfire. Last night, Byrne brought the result of that collaboration with Parson to town for a terrific 100-minute show at Jacobs Pavilion at Nautica. The visually striking concert combined music and performance art in an extremely unique manner. 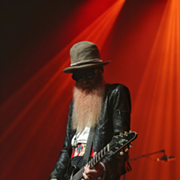 Surrounded by something that looked like chain mesh, Byrne initially arrived on the stage by himself. He sat at a desk and held up a plastic model of a human brain as he sang the opening song “Here.” Wearing a gray suit, the barefooted Byrne basically spoke his way through the tune as his barefooted band mates in matching gray suits slowly joined him on the stage. Byrne and Co. turned things up a notch for the proggy Talking Heads tune “I Zimbra” and then segued nicely into another classic Talking Heads song, “Slippery People.” Heavy bass and percussion gave “I Should Watch TV” a real edge, and Byrne performed the somber “Dog's Mind” under ominous looking red lights. The whimsical “This Must Be the Place (Naïve Melody)” gave way to the Talking Heads track “Once in a Lifetime.” The track ended with beautiful vocal harmonies, and group members froze in place before breaking into “Once in a Lifetime.” “Toe Jam,” a synth-driven tune that featured a vigorous drum solo, had a great energy to it as did a particularly funky rendition of “Born Under Punches (The Heat Goes On),” a track that included rattling percussion. When Byrne brought out a red acoustic guitar to play the distinctive opening notes of “Burning Down the House,” fans immediately rose to their feet to dance to the classic Talking Heads tune. 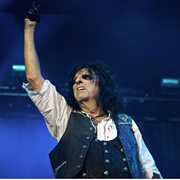 The concert ended on a more serious note as it concluded with “Hell You Talmbout,” a Janelle Monae song that Byrne said he heard at a women’s march in Washington, D.C. a few years back. It found band members shouting out the names of victims of police shootings. Byrne said Monae gave him permission to update the list of names in the original song, so the group shouted out the name of Tamir Rice, the a 12-year-old Cleveland boy killed nearly four years ago. English singer-pianist Benjamin Clementine began the night with a 40-minute set that showed off his operatic voice. Playing in a duo format with a guitarist, Clementine delivered his sparse songs with a quiet intensity. While many fans in the near-capacity crowd talked throughout his set, they also gave Clementine a nice round of applause as his set came to a close.